Mayor Frank Jackson defended the City of Cleveland’s decision to hire Lance Mason after a 2014 domestic violence conviction. Mason is in custody in connection with the killing of Shaker Heights elementary school teacher Aisha Fraser . He has been charged with ramming a Shaker Heights police officer while fleeing the scene. In 2017, Mason applied for the City of Cleveland’s minority business development administrator position, earning $47,817 per year, according to a city salary database. “There was a posting, and contrary to what people are saying, he applied for the job and was recommended for the position and he was hired,” said Jackson. 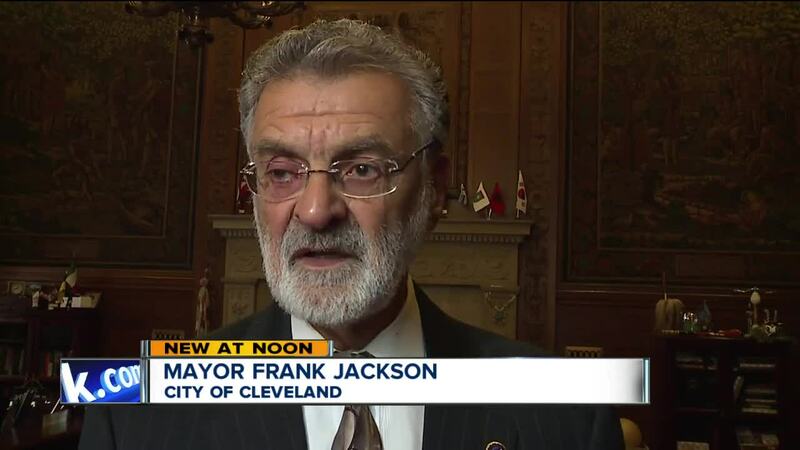 Mayor Jackson said Mason’s status as a felon did not eliminate him from the competition under Cleveland’s second-chance for felons program. “We hire many ex-felons and almost all of them turn out well because we have second chance as a part of what we do as a policy in the City of Cleveland,” said Jackson. News 5 asked Jackson why a convicted wife-beater deserved a second chance with the city. “We have people that have been hired that have spent 19 years in prison for murder, 20 years in prison for drug trafficking,” said Jackson. “We have some people who have done time and committed some pretty heinous crimes and they have come to work for the city of Cleveland and they have done quite well for us." Jackson said Mason was an effective employee. “I could look back on anything and said it’s a big mistake or, I had the greatest choice of my life depending on what happens,” said Jackson.